wow. Nice job! I went to my first appleseed a month or so ago. I shot one my lrb T44E4 with iron sights on Saturday, and my custom 10/22 scoped on Sunday. I did about the same with them both, 195-208 range. So close that I could taste it. I took my brother, his first too, and he did qualify, 221 I think. It is not easy to shoot 210 for sure. You should frame that target and patch! I had trouble with using the sling. Adjusting it from one position to the next was tough and took to long. I need to practice before the next one I go to. 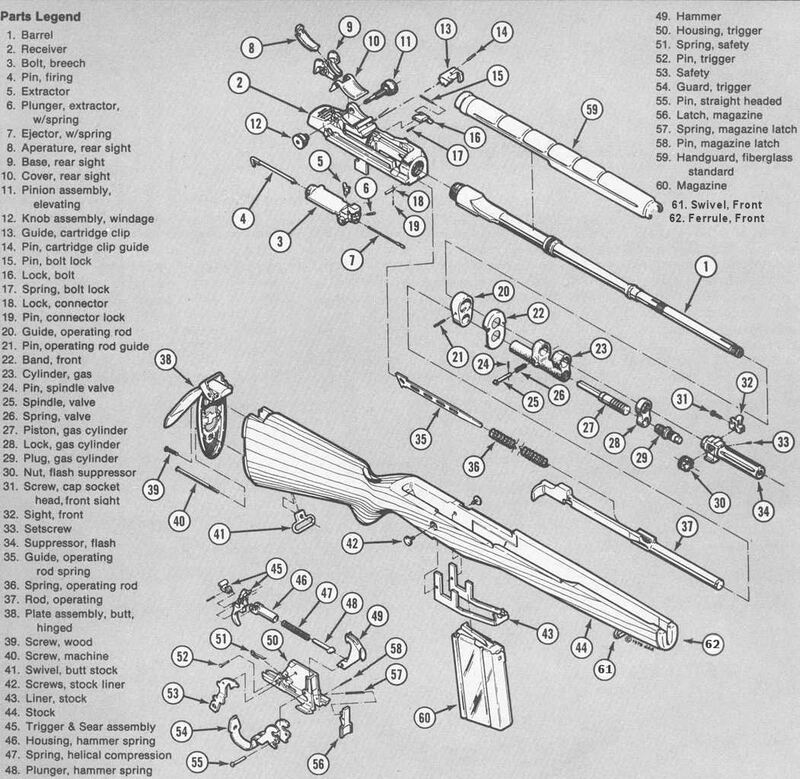 Hytek, I recommend using a 1907 sling. I find that adjusting it for each position is a snap, much faster than using a web sling. Once you figure out which holes to set it for each position, then you're set for now on! Mark the holes or just remember. My slings were marked by the makers. I have some Les Tam slings and one from Ron Brown. Turner makes some good ones in leather and biothane. so they will let you use a different sling than the gi web slings? I have some 1907 slings, I just need to practice with them. Yes, they will, 1907 style is the only type I use. Sure enough, I shot a perfect 250! In the Appleseed world, a perfect 250 is very rare, very few nationwide have been shot, none for sure in Arkansas! Just thought I would share with you here in my internet home base! Congratulations well done! You will have to show us the patch when you get it ! Ain't never see one of those before ! I remember a boot shot a 250 and the range master made him shoot it over again, because he didn't believe it! His second attempt was a 246, or 247 I don't remember exactly, under the watchful eye of the range master . In honor of this and since 4570 is one of our members maybe we could keep this handy as a sticky? Since it is rare I'd hate for it to get lost. I've looked at it two or three times already(makes me smile every time) and think others may too. Just a thought....as long as it's ok with the 4570. The rifle was a .22 rimfire with a scope. When shooting the full Known Distance course, I shoot both M14's and AR's. I've shot perfect scores on the KD course too, but it doesn't seem to be quite as difficult as the reduced course, it doesn't get quite the attention in the program as does the "250" on the reduced AQT. I know that was a noteworthy achievement! What I have seen lately in the program concerning the Known Distance course, we are scoring targets with a "hits count" method. This means only hits in the 4 and 5 ring will count. 40 hits to qualify. This means, if you have hit at least 40 times in the black, it would at the very least be a 200 score. 50 hits for a perfect score. At the discretion of the "Shoot Boss", the targets can be scored allowing the 3 ring to be counted as well, with a 200 still be the minimum for qualifying, which is still at the old Expert level. 247 and above is "Distinguished". There doesn't seem to be any advantage for the shooter to qualify with either method over the other. Thank you very much, very nice of you. 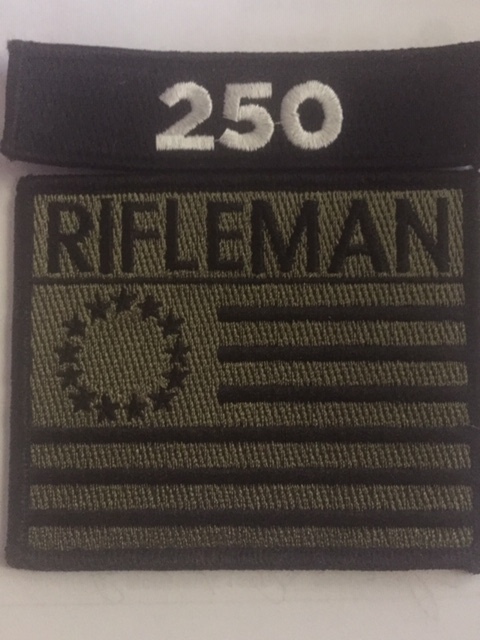 Van, here's the 250 tab over my Rifleman patch. Last edited by 4570govt; 18th March 2019 at 12:04 AM. We were told nobody has scored a perfect 250 at an Appleseed event. I guess they meant that no one in Alabama has scored 250 on the reduced AQT. Not sure. Either way, you can shoot very VERY well! I shot an iron sighted M14 on day 1, and a very nice scoped custom 10/22 on day 2. I thought I would do much better on day 2, having optics and no recoil. I was wrong. I got close to qualifying on day 1, 6 or 8 points away. Much to my surprise, it was nearly the same on day 2. It was very hot that day and I was sweating badly, getting in my eyes and such. If I could go to an event that is not inside of a oven, and practice with my sling on changing the settings for different positions, I think I could score a bit higher with less effort. It is a shame. They scheduled the event this year at the same time of year. Hopefully it wont be hot and humid like last year. Last goal: shoot a perfect score "yes, I know, not very likely, but I can try". What I have heard, there are five who have scored 250 in the time Appleseed has existed. One of them scored it twice, an ol' Marine Vietnam Veteran from New York! I've scored it one other time in practice. Lots of 248's and 249's too! That 250 is more elusive than what a mere few points might seem! I think that you should practice on shooting AQT's without timing yourself, take as long as you want for good hits, when you got that down pat, start working on speed and magazine changes. Concentrate on the 400 stage, worth twice the points with five whole minutes! Also, work on your NPOA. More good practice will get you over the hump, I know you can do it! By the way, I know you can shoot 240 and above with enough practice, it worked for me, I certainly don't have any natural skill!